Join us for business breakfast and take a deep dive into advanced practices of technical trading from Philippe Delmotte, an International Senior Manager in Capital Markets (20 years experience across 3 continents) and a recognised expert in International finance. International Senior Manager in Capital Markets (20 years experience across 3 continents). Has an expertise in Emerging Markets (ASIA, MENA, CEE, LATAM). 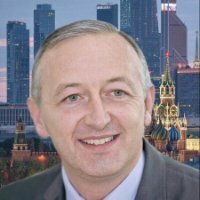 Mr. Delmotte is an Executive Committees Member : FX (permanent), ALM and FICC (extended ExCo), EUROPLACE Paris member (Chinese Renmimbi). Speaks fluently French, English, German, Spanish, with some Russian and was working in different countries including France, United Kingdom and Germany. Managing Director, Head of EMEA FX, Global Head of Precious Metals - Crédit Agricole CIB (Paris Area, France). (London, United Kingdom ) etc.